You there, the one reading this now I want you to do something. 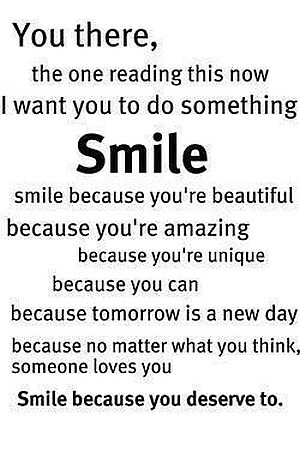 Smile, smile, because you are beautiful, because you are amazing, because you are unique, because you can, because tomorrow is a new day, because no matter what you think, someone loves you. Smile because you deserve to.